All crystalline solar cells (mono and poly) are made using a very thin wafer of base silicon with the two main types being p-type and n-type. These are made when the silicon is ‘doped’ with specific chemical elements to create a positive (p-type) or negative (n-type) charge. N-type silicon cells are more expensive to manufacture but offer higher performance and a lower rate of light induced degradation, plus an improved temperature coefficient. The chemical elements used for doping are phosphorous which creates a positive charge and boron which results in a negative charge. Depending on the type of cell construction either n-type or p-type doped silicon is used as the base or 'substrate' of the cell. The vast majority of both mono and multi crystalline cells used today use p-type which has a base of boron doped silicon. 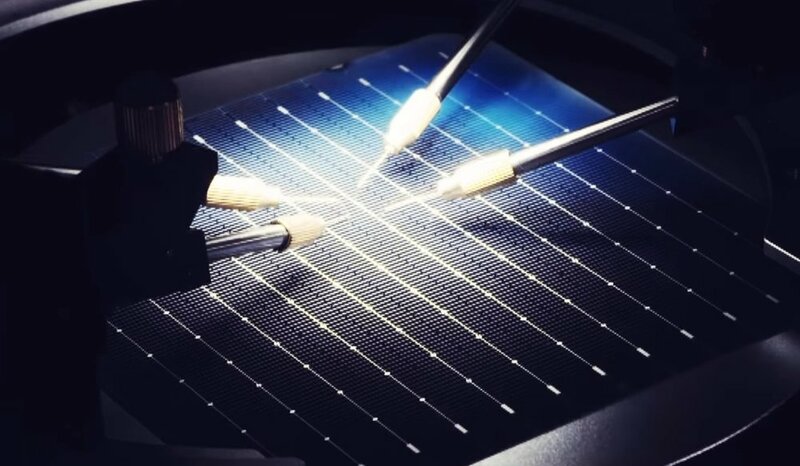 At present only a few manufacturers such as LG, Panasonic and SunPower use the more efficient n-type silicon wafers although more companies are starting to develop n-type cells. Both cell types use a combination of p and n-type silicon which together form the p-n junction which is fundamental to the function of a solar cell. The difference is p-type cells use the Boron doped silicon as the base together with a ultra-thin layer of n-type silicon, while n-type cells are the opposite and use an n-type silicon base with a thin layer of p-type. As explained the p-type and n-type silicon are brought together and form what’s known as a p-n junction. The junction creates an electric field which enables the flow of electrons when solar radiation passes through the cell. The photovoltaic effect is when light photons (energy) free the electrons from the silicon creating a flow of electricity. Due the very nature and material composition n-type cells offer higher performance through having a greater tolerance to impurities and lower defects which increases overall efficiency. In addition n-type cells have greater temperature tolerance compared to both mono and multi p-type cells. More importantly n-type cells do not suffer from the issues of LID (light induced degradation) due to the boron-oxygen defects which are a common issue with p-type cells doped with Boron. N-type cell construction is more expensive as it uses what's known as a boron diffusion process to add the thin p-type 'emitter' layer. This diffusion process is more complex and requires higher temperatures compared to the p-type cell phosphorous diffusion process. Although the n-type cells are more expensive to manufacture the base n-type silicon is of a much higher purity which enables higher efficiency, lower losses and much lower degradation over time, this results in higher generation and performance which improves payback. Here in our detailed article we describe how solar panels are manufactured and recycled. Solar panels are made using six main components in advanced manufacturing facilities using precise optical sensors to position each component along with specialised testing and quality control equipment. 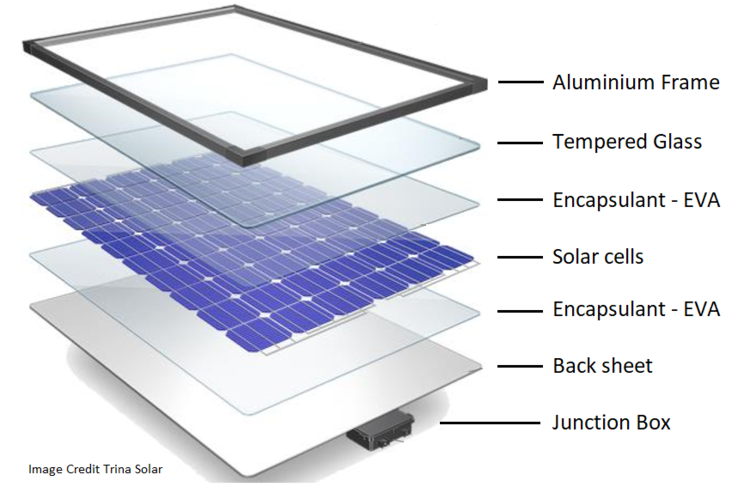 Click on the image above to go to the detailed solar panel construction article. Learn more about the leading solar panel models and cell types including PERC, multi busbar, split modules and bifacial panel technology here.